A gathering; compositions, putting together found objects. An artistic process; a collection of people or things; a gathering; compositions, putting together found objects. Bringing together that which inspires me and share with colleagues and friends. As a lot of you know, I just returned from a ten day trip to India and Nepal. While I have been to India many times, this was my first time in Nepal. The entire trip was a whirlwind of inspiration and experiences, but a common theme for me throughout this trip was an appreciation of all the different doors - a few windows as well - that I encountered. Although all of these doors are not perfect examples, while I was in India I did a bit of research on Vastu Shastra - which is a traditional Hindu system of architecture. These ancient texts laid out plans for houses, gardens, towns, cities and roads. One thing I thought was particularly interesting is Vastu Shastra directs architects of the time to take into account their natural surroundings. What is the terrain like? What direction does the sun shine most brightly? How can these buildings be a holistic part of the manmade and natural communities at large? Some of these doors were incredibly ornate, with complicated patterning and gold leaf inlay. They were a wonder to take in, and an impressive thing to ponder. Others were more simple - from wood or uncarved stone - but still an impressive scale in striking shapes and silhouettes. The change in design from India to Nepal was pronounced but difficult to describe. 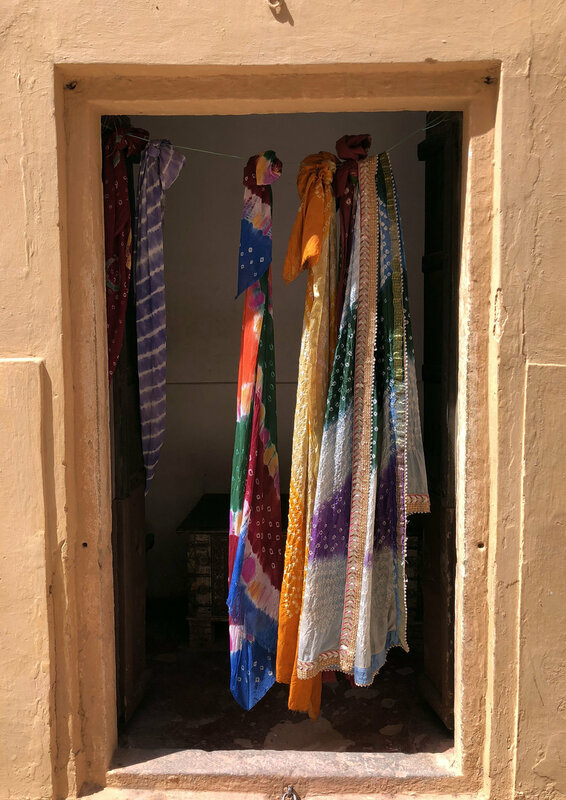 In India - photos above - the doors that I saw all had a unifying feeling to them, similar shapes and imagery. 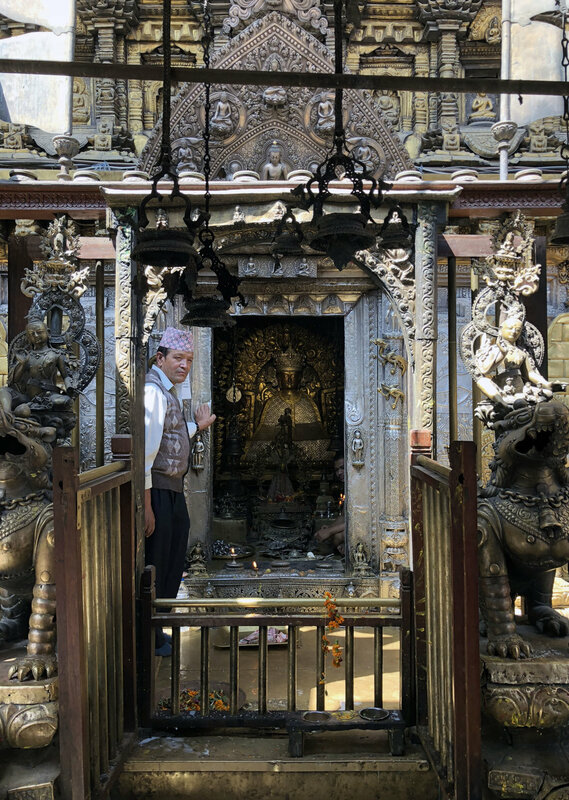 In Nepal, the doors had a similar feel to those in India - and some were equally ornate - but the geometry was different, and of course the majority of the religious iconography went from Hindu to Buddhist between the two countries. I found it really interesting in both countries to see the influence of other cultures and time periods - take for instance the facade above, which is done in a traditional Tibetan style. It really was such a wonderful trip, with so much to see! The other evening I attended the Park Avenue Armory’s Indigo Gala and ran into the completely fabulous Marc Jacobs!